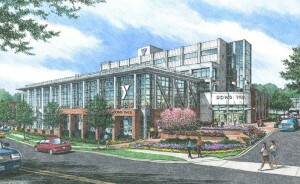 The Dowd YMCA is about to receive some major renovations to its facilities, design, facade, and parking. They are still in the process of raising funds for the entire project to fully modernize the gym, but they are very close to reaching their $26.5 million goal. The renovations include; increasing the workout and class spaces, expanding the child care area, updating the electronic infrastructure, and modernizing the exterior with a completely new glass and steel facade. The project will add a total of 28,000 more square feet to the current 140,000 square feet branch. In addition to the facility upgrades, they will also be partnering with Pritchard Memorial Baptist Church to build a 65-foot-tall parking deck on a church-owned lot at Lexington and Caldwell streets. If the city approves zoning for the new deck, construction is anticipated to start around fall of 2016. 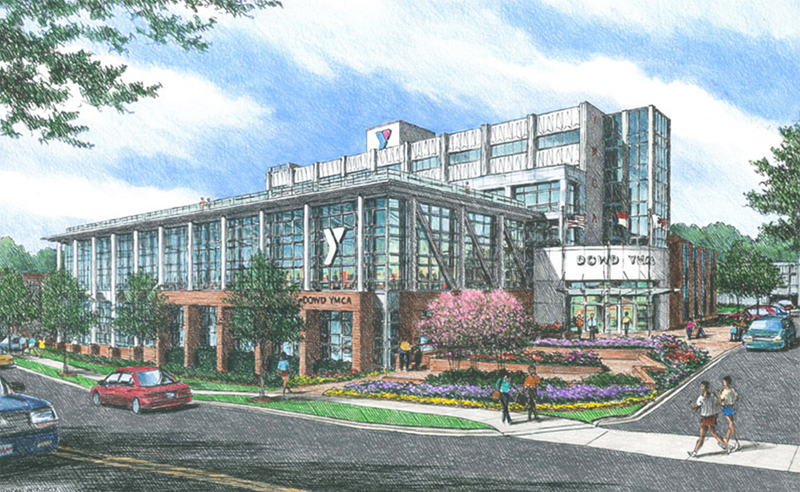 The Dowd Y will remain open throughout the construction process – and that’s an especially good thing considering they’re the most-visited Charlotte-area YMCA, with between 3,000-4,000 daily users.